Journeys require planning, effort, time, and a million little things to go right. Neil Armstrong's first step on the Moon was a small step for him that was the culmination of millions of hours of labor across countless tens of thousands of people at NASA - but this epic achievement began with a single, unknown step somewhere. Someone had an idea and then began the long process of making that idea a reality. We here at Nxter love the blockchain, we love us some decentralized ledgers and we dream of seeing the infinite possibilities a series of sequentially hashed files can help with - this is our journey of constantly striving to bring you the best updates from the blockchain platforms we love, and like going to the Moon, it began with one step. Do not get discouraged if you are new, it takes time to learn anything and the blockchain is no different. Take that first step and realize that you have begun the wonderful journey. Last week many good things happened across the ecosystem; Jelurida released amazing upgrades for both Ardor and Nxt - Lightweight Contracts are still on the testnet but included in the Ardor mainnet upgrade is Transaction Vouchers, Custom Bundlers, and inbuilt account funding via Changelly. CryptoDemetrius released an Ardor Updates video, and thanks to the generosity of our community there is now 2000 $IGNIS to claim for solving last week's Nxter puzzle. Updates from various Ardor based businesses, the Ardor Lite app received a Google Play update, the Rya team announced their snapshot date, with a 40% airdrop to NXT holders, and much more. Hey! - and did you check Nxter Magazine's new frontpage? > Nxter Puzzle: Ardor Still Rocks! A new Ardor mainnet version with new features is released. Likewise, Nxt received a critical release, both are MANDATORY upgrades. This weekend there was a new Ardor release: v2.1.2. This is a MANDATORY upgrade for everyone. Upon installation, there will be Changelly exchange support directly enabled into the Ardor wallet via a plugin. Transaction Vouchers. Bundler templates. There is a bug fix involving unconfirmed transactions. For some reason, a few people are worried about losing funds if you upgrade, that is not the case - your funds are safe on the blockchain. Lightweight Contracts are still on the testnet, they are not included in this mainnet release! Following up on the Ardor v2.1.2 launch, a press release was published by Jelurida. Jelurida this weekend introduced Ardor version 2.1.2, launching revolutionary and easy-to-integrate Turing-complete Lightweight Contracts on testnet. Additionally, three new business-ready features were introduced on the Ardor 2.1.2 mainnet: tamperproof dual-signature Transaction Vouchers, five Bundler templates for sponsoring end user fees, and a plug-in for integrating Changelly's instant exchange between 100+ currencies. How about it? To further draw a line in the sand between Jelurida and their competition, a proposal was published today on Medium by Veronica Torras, a proposal to define what this BaaS (Blockchain as a Service) term that everyone suddenly seems to love throwing around actually means; a Full BaaS blockchain solution like Ardor, or the Cloud BaaS kind that businesses like Microsoft, AWS, and IBM have to offer, that comes with cloud storage and templates for setting up a blockchain but does not include the crucial part: a decentralized network of nodes. A MUST-read for everyone, more here. A new Nxt version was released as well - also a MANDATORY upgrade for everyone. The same bug for processing unconfirmed transactions is fixed - note that there is no risk of losing your funds, this was a concern for some. 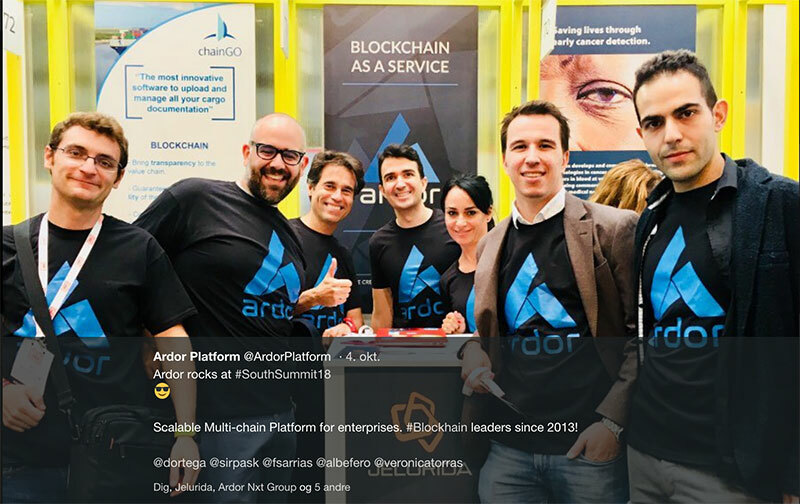 Jelurida had a booth and a good time when pitching Ardor in Madrid last week at the South Summit 18 conference. Ardor is a great way to demonstrate the benefits of using blockchain. The following Maltese-language video shows Alex Pfeiffer present Ardor at the MITA Emerging Technology Lab. Our friend, CryptoDemetrius, updates the world on what happened within the ecosystem - including the Blockchain Ardor video series, information about Lightweight Contracts - which Jelurida will have a competition for sometime this month. Ardor Updates is a series funded by Jelurida that focuses on providing monthly updates on the Ardor and NXT blockchain ecosystems. This episode discusses the features of the new 2.1.1e release and then runs through some quick updates from around the Ardor ecosystem. Last week Nxter Magazine interviewed CryptoDemetrius, you can read about his background, mission, and vision here. The Ardor Bootcamp is still free on Udemy.com. This online course is great for those who desire to learn and become more familiar with the multitude of functionality within the Ardor blockchain platform. There are hours of easy-to-follow video tutorials to peruse, hosted and put together for you by Eric Funk. For those who have already taken the course, please consider the link above and support the creator and keeping the course free. Nxter Puzzle | Ardor Still Rocks! Every week a puzzle is released for your pleasure. Inside the puzzles lie an IGNIS reward, that the first person to solve the puzzle can lay hands on. Rock Thou Must, to find the hidden passphrase, then withdraw the IGNIS in the account it opens. This week's new Nxter Puzzle from @madfox was released Monday - and solved Tuesday. A nice little dinosaur crossword reminding us that everything didn't begin with Bitcoin. So, what about last week's puzzle? Still unsolved, and the prize in the puzzle account has gone from 100 IGNIS to... 2000 IGNIS! Solve the names of the owners of 30 famous guitars to claim the latest prize account which has 2000 IGNIS in it! A generous whale or 2 has made this possible - so hurry and solve the Ardor Rocks themed puzzle to get the passphrase. 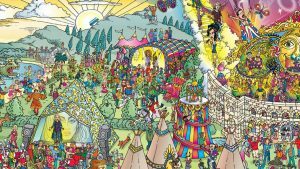 This week's puzzle reward was also kindly sponsored by ANG, and the puzzle created by Madfox. All Nxter Puzzles are listed on nxter.org/puzzles - watch the accounts - there are still IGNIS to be claimed. Mrv777 has updated his and ANG's much-quoted website that offers everyone a comparison of common blockchain platforms. Let's get down to business. Not only Jelurida is doing business here; actually, why not have an ICO, support a new service provider, or maybe you're looking for a child chain to invest in? We are very pleased to announce the latest addition to our team in Rotterdam, Erwin van Kekem, as Head of Development. Erwin was co-owner and co-founder of Collin Crowdfund, which is now the biggest crowdfunding platform in the Netherlands for loans to small and medium sized companies. Remember that we will announce the date when the Dominium child chain will go live next week Friday, so ensure you are connected to our channels for the news. On Steemit, Dominium's Korean ambassador shows great insight in both Dominium and the Ardor BaaS platform in a Q&A session that he had with a critical blogger and reposted here. The Dominium ITO is ongoing. Remember that you can also read a review of Dominium's child chain project in Nxter Magazine. Triffic.world - the newly updated white paper and website have finally been released! Also, Triffic published a video on YouTube which takes you on a tour with their app. A nice insight into some of the possibilities it offers, and still, only the first video in a series. We look forward to more! No movie tricks - you can take the Triffic beta app test run - you need an invitation code, which can be requested here. The Triffic ICO will start on December 3rd. Special price for ARDR, IGNIS and NXT investments. 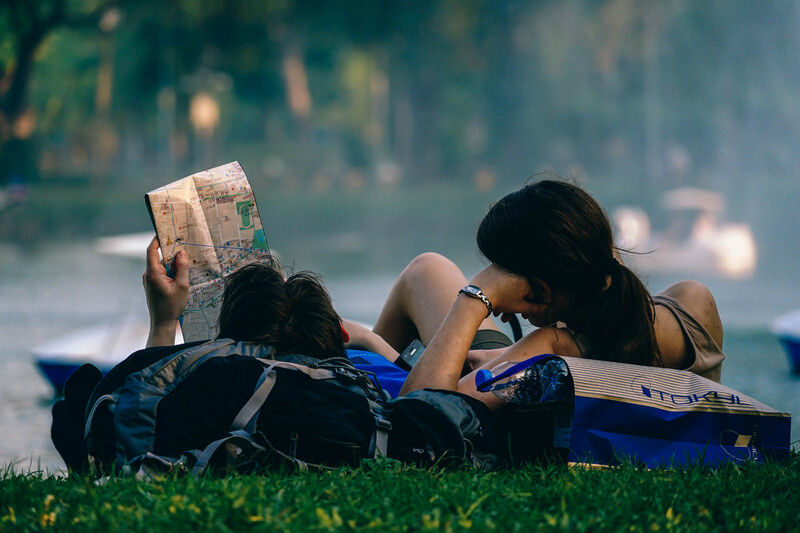 "Triffic is elegant, fun & practical: a mobile gamified navigation app that rewards cryptocurrency for travel. Plus, geolocation based augmented reality scavenger hunts, pots of crypto for the taking, all running on the awesome Ardor Blockchain. Cryptoeconomics of Triffic: 50% ad revenue used to buy back, distribute & burn GPS Tokens, until ecosystem equilibrium where # of tokens removed equals number of new GPS Tokens entering market via the app". Vivien, the founder of EZYcount, announced that his team was accepted into the Geneva Fintech Fusion Accelerator and that they will pitch at a forum in the Swiss state of Vaud. "Our aim is to develop the EZYcount AI, an EZYcount-patented process to fully automate bookkeeping for the self-employed and small business owners. Access to this service will be granted through holding enough of our TaaL (Token-As-A-License) which will only be sold during the ICO". EZY Taal is a token issued on the Ignis blockchain, and tradeable across the Ardor platform. What differentiates EZY Taal from other tokens is that if you have a requisite amount you will have automatic access to the EZYcount small and medium business accounting software that is being integrated with AI. The second round of the ICO at 10 EZY tokens per CHF, last one more week, till October 15th, 2018. Nothing this week that we heard of. You can enlighten us here if you know any better. There is, of course, ongoing project development, and also another clone coming, which will airdrop 40% of its tokens on NXT holders. Last week ARDR got on Huobi Global. Now, their top 30 ARDR traders will get 200K+ free ARDR awarded! The signing up due time is 24:00, October 11, please sign up by the end of the time. ARDR can now be traded on the Hong Kong based CEO.bi Exchange. ARDR trades against QC (QCash), a "stablecoin" which is pegged to the Chinese Yuan. The CEO Exchange will open the ARDR recharge at 12:00 on October 5, 2018, and open the ARDR transaction at 15:00 on October 6, 2018. A Google Play update for the Ardor Lite app was released. I resubmitted Ardor Lite to the iOS app store today. Yesterday, Apple finally gave me a company developer account so we'll see what happens this time. The Apple App Store earlier refused to approve the app, so hopefully, after time they will now approve Ardor Lite for the App Store. The Rya team (formerly known as Ryō) has announced a snapshot date - they expect the snapshot of the Nxt blockchain to occur on November 17th of this year, around five weeks from now. At the time of the snapshot, NXT balances will receive 0.4 RYA on the new blockchain for every NXT token they hold. The Rya project and whitepaper proposes to tether money supply to credit as a function of P2P loans: the project wants every person to function as a sort of miniature credit lender. We are excited to announce that the Rya project has an official snapshot date. The snapshot will be taken in block 2,110,000 of the Nxt blockchain expected to occur on November 17th. Remember only Nxt users with Nxt wallets will get the new RYA coins and Trust when the main net will be live. Exchange wallets are not supported. As promised, we are dropping 0.4 RYA for each Nxt token - a total of 40% of the initial Rya supply. We will be happy to answer any questions you might have on Telegram or in Bitcointalk or Reddit. Where 60% Rya go away ? We will do a second Airdrop+bounty program+reward for developers. Confirmed. Rya is NOT an ICO. This is due to the fact that the Ryo system is already nearly ready to be released and no fundraising through ICO is necessary. Rya truly has the potential to act as a stable coin for the state of the economy without any dependence on USD or other currencies. This is exactly the kind of solution I think many stablecoin enthusiasts have been searching for! Nxt community should def get the chance to know about Rya early because of the airdrop + the fact that it's a fork. So here you go, now you know. Rya will need forgers and nodes when they launch. The Rya project is on testnet. We'll follow it and keep you updated, as we have from the beginning. We have seen airdrops on NXT holders and clones coming throughout the year, some of the most interesting still in development. Nxt is open source and every amateur, opportunist or experienced programming team can clone it, use it, built on it, under the JPL license. Some clones are a scam, others not. Some are yet to prove themselves. It's how it must be. Just remember to NEVER expose your Nxt passphrase to online nodes you don't trust, or software developers you don't know, ALWAYS keep it safe. As we continue our work the rebranded Nxter.org, expect soon to see a timeline over Nxt airdrops and a guide on how to claim these airdropped coins without risking your funds. An article from Veronica Torras proposes a new BaaS categorization in order to establish a standard, common terminology. Ardor is currently the only Full BaaS platform. Here we have a great article from last week, one that does a very decent job explaining Ardor. 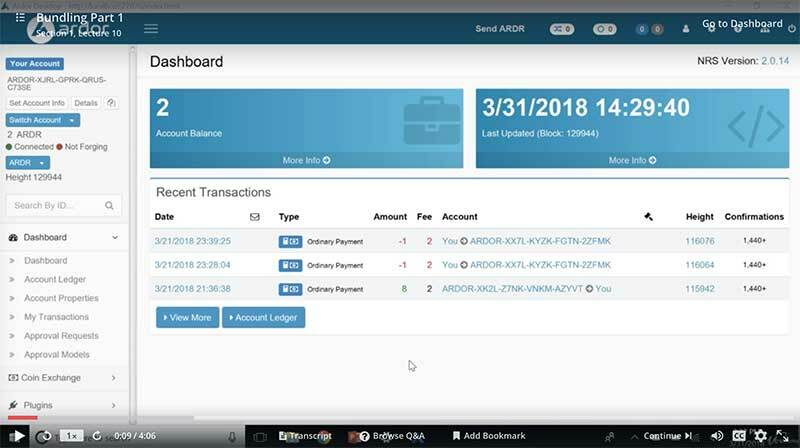 It introduces Ardor and its child chains as a solution to the infamous "blockchain bloat problem," talks about the many features of the Ardor platform and the scalability and touches on the basics of how the ARDR token works. It even knows about the ARDR snapshots of the Nxt blockchain. Ardor is a full suite of programs and fully capable of competing with the Microsoft Azure platform. By remaining independent, the company maintains control over network governance. The conclusion that Ardor is "fully capable of competing with the Microsoft Azure platform" is mindblowing - hey, somebody actually realized it - BUT... nevertheless kinda misleading. Microsoft does not have their own blockchain solution, rather they have repurposed an open-source one and threw it on top of Azure. Jelurida is a name in blockchain innovation, Microsoft is merely riding the blockchain coattails. Today, the “Blockchain as a Service (BaaS)” term is being used interchangeably by various organizations to refer to entirely different offerings. This has led to an urgent need to define subcategories within the sector. This article proposes a new BaaS categorization in order to establish standard, common terminology. they are able to coin the following two sub-categories: the Cloud BaaS, and the Full BaaS. Because the Ardor main chain already has the infrastructure for security and decentralization, the child chains are quickly developed to handle custom use cases. Because they are still on the same platform they can use the security, speed, and decentralization of the main chain. In this first category, Cloud BaaS, we find companies offering storage and software (...); the responsibility for hosting a decentralized network of nodes remains with your business or consortium. The second category, called Full BaaS, offers not only storage and applications, but also decentralization, offering end-to-end blockchain as a service. In the Full BaaS model, businesses can outsource all three components of the blockchain development process — saving valuable time and resources. In the Full BaaS category, we have the Ardor multi-chain platform. Some Reddit user was fast to proclaim that the Medium piece is just an advertisement for Jelurida. I don't see his point. I don't care who brings up the subject, clear definitions and clarity are needed for blockchain adoption to move forward in the best way. What I do see though, is why IBM, AWS, Microsoft, and others, that declare themselves leaders in the BaaS space, haven't brought up the issue. If a first mover company doesn't promote its clear advantages over the competition, who will? Probably not those being disrupted. It's not like legacy banks and states are busy promoting Bitcoin, still, it can't really be ignored. Neither can Ardor's Full BaaS solution. It's new grounds. Most don't care. Some afraid to get left behind. Businesses afraid to get disrupted. Whitepapers all over the place, blockchain this and that if you try to find good information. And crypto media ruled by their own interests, CoinDesk. It's up to the businesses to decide, whether they want Cloud BaaS or a Full BaaS, to run their own nodes or get instant security from a truly decentralized network - if they even need a blockchain. Or a child chain. Ignis is free for everyone and supports all Ardor's features. Ardor's parent-child chain architecture allows for a company to set up its own permissioned blockchain on a Proof of Stake platform, PoS battle-proven in production since 2013, and with today's most advanced programmable features to fit the company's needs, their own blockchain token, all instantly secured by a network of decentralized nodes. But it's just words, it's just advertisement, right? That, or real information. To really know, you should test it. DYOR. You can start with the "Blockchain Ardor - Medium Series" or this free Bootcamp.